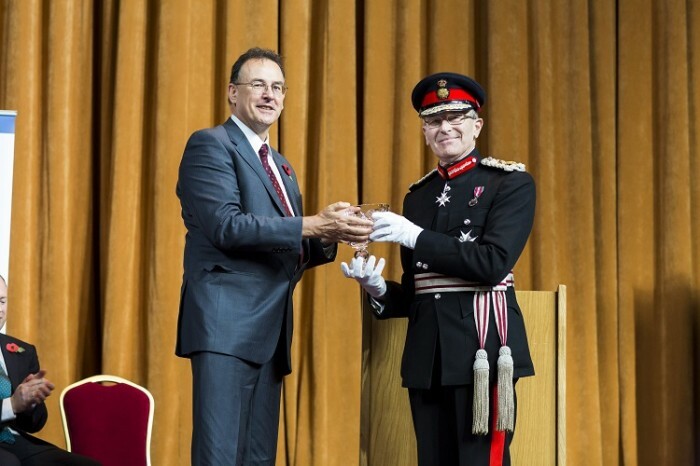 On Friday 7th November Nikwax was officially presented with a Queen’s Award for Enterprise: Sustainable Development 2014, in a ceremony led by HM Lord Lieutenant of East Sussex, on behalf of her Majesty the Queen. The photo above shows our Managing Director, Nick Brown, being presented the award by HM Lord Lieutenant of East Sussex, Peter Field. 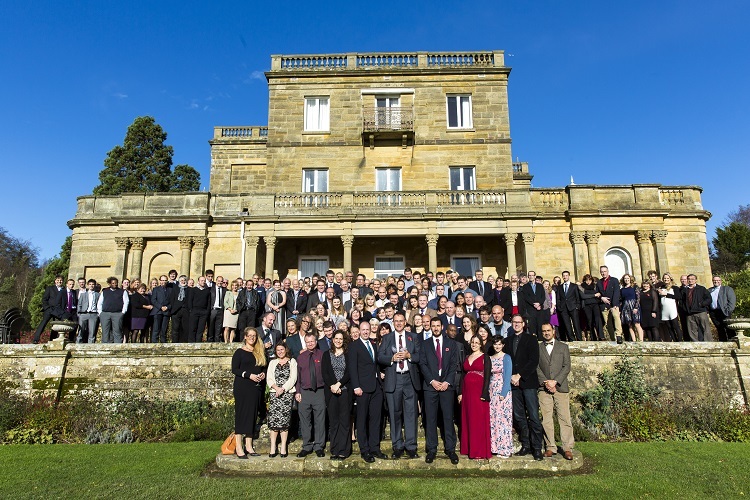 All 165 employees, plus our distributors from across the globe, were invited to the award ceremony, held at Salomons Estate in Kent, close to the Nikwax Head Office. 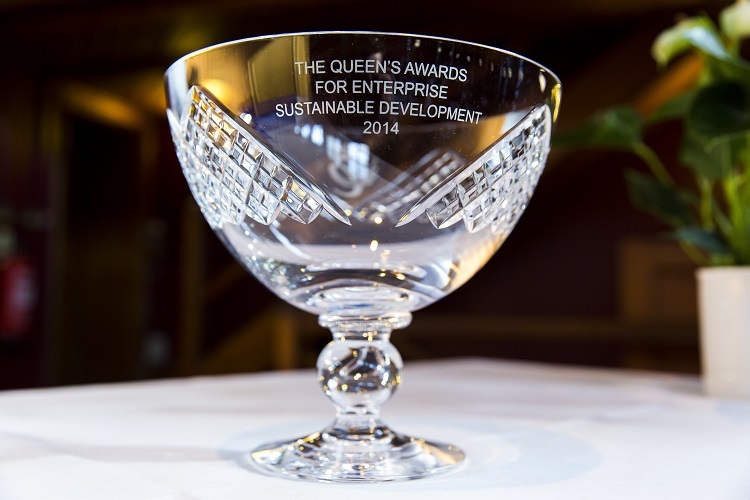 The prestigious award reflects the company’s achievements within Sustainable Development, which include: reducing environmental impact, educating local schools on sustainability, and providing a grants programme to aid environmental projects. 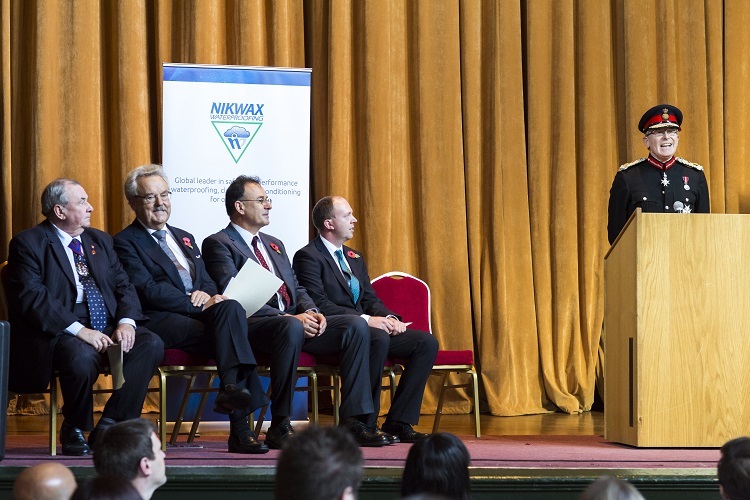 It is the fourth Queen’s Award that Nikwax has won. This award is particularly meaningful because we do everything we can to protect our outdoor environment for all to enjoy both now and in the future. The award recognises our hard work, effort and continued commitment towards this. Our previous Queen’s Awards were for International Trade (2004), and Export Achievement (1996 & 1999).